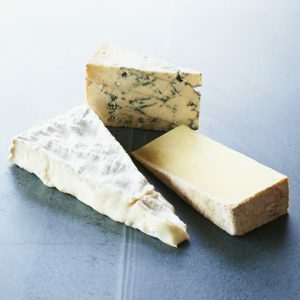 Sliced Charcuterie Pack | Buy online from The Courtyard Dairy. The Cinta Sense breed of pigs is known for its rich meat and white-belted appearance. Eighth-generation salame-curers Macelleria Falorni produce an amazing range of cured meats. 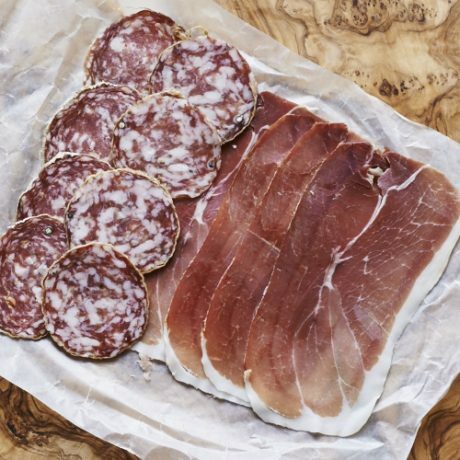 This mix-pack contains three of their finest examples: freshly sliced Salame Piccante and Finnochiona Salame (wild Fennel), with thinly-sliced Prosciutto Saporito. Made by Stefano and Lorenzo Falorni, in Greve-in-Chianti, Tuscany, Italy. 200g is approximately twelve slices: four of each of Salame Piccante, Finocchiona (wild Fennel) and Prosciutto Saporito. The most famous Salumeria in Tuscany, Macelleria Falorni can be found on Piazza G. Matteotti, Greve-in-Chianti. It is there that eighth-generation Falorni brothers Stefano and Lorenzo continue to cure meats in the traditional Tuscan way. 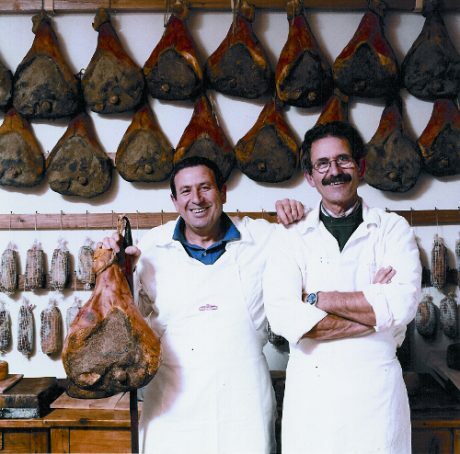 Since 1729 their family has made the finest salamis, pancetta and prosciutto, natural to the Tuscan region. Their charcuterie is made only from the ancient 14th-Century Cinta Sense breed of pigs that roam free and feed on acorns in the Tuscan forests. This produces richness in the meat, which is dry-cured by the Falorni family in their ancient cellars using traditional methods and local spices. Finocchiona Salame. 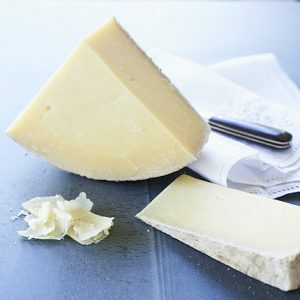 Rich meat from acorn-fed pigs, studded with wild-fennel seeds to give a delicate aromatic taste. This is the Falorni’s signature salame, a Tuscan classic, which is cured for four months and flavoured with wild fennel seeds, then wrapped in a natural stomach casing. Salame Piccante. 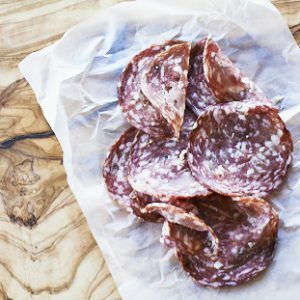 A rich salame from acorn-fed pigs, with the gentle warmth of added chilli and paprika. Leaner than Finocchiona, Salame Piccante is wrapped in a natural stomach casing and cured for four months. Prosciutto Saporito. Dry-cured in traditional cellars for over 12-months this stunning prosciutto is hand salted on spruce planks. The end result is a powerful, smooth prosciutto, sliced thinly so it simply melts in the mouth. Ingredients: pork, salt, chili, natural spices (inc. pepper, wild fennel and paprika), potassium nitrate curing salt, ascorbic acid, dextrose. For nutritional data see each specific charcuterie type: Wild Fennel, Salame Piccante and Prosciutto.